Today, we’re glad to introduce you the new eGo Mega Twist+ with CUBIS Pro kit. Basically, the eGo Mega Twist+ kit is a new starter kit especially for those who’re new to vaping but still want to try the sub-ohms. 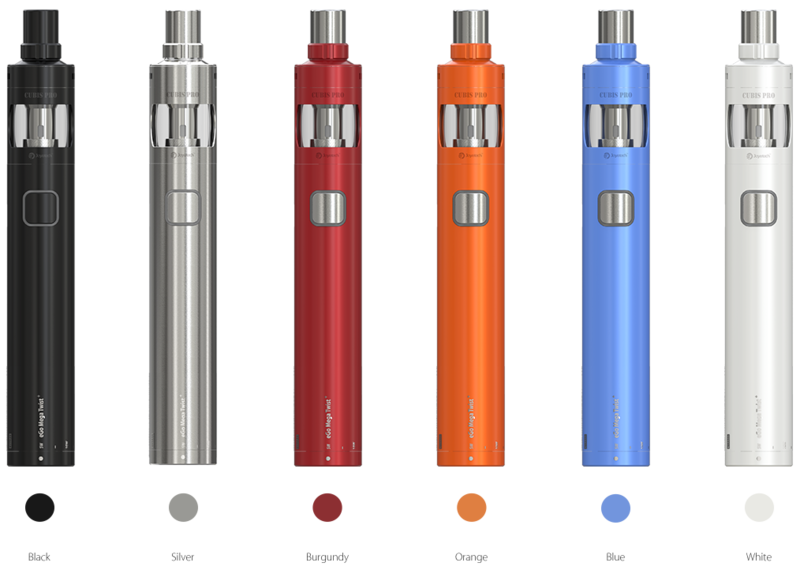 It is simple and straightforward, featuring a 2300mAh integrated battery with the rotating ring on the bottom for ease operation. 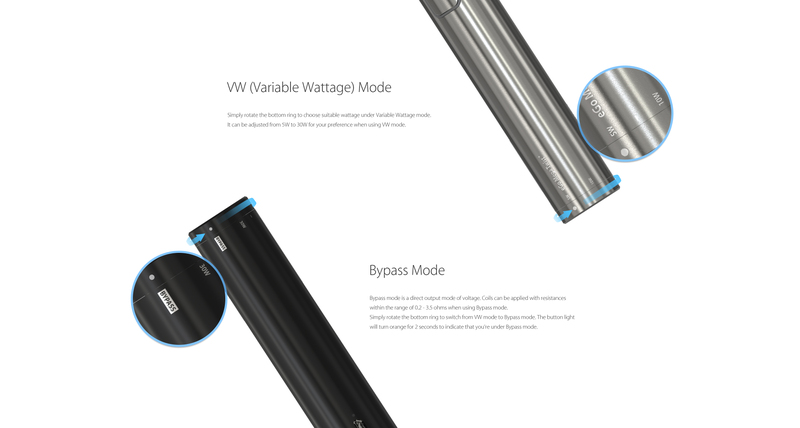 Variable wattage mode as well as BYPASS mode are included. As it comes with the new CUBIS Pro atomizer, various BF series heads can be applied. The eGo Mega Twist+ battery makes in multiple colors: silver, black, blue, burgundy, white and orange, which is perfect for your taste and lifestyle. The dial sits on the bottom with wattage levels listed from 5 to 30W. Apart from variable wattage, you can also select BYPASS mode for direct voltage output. Simply rotate the dial to switch between the two modes or choose proper wattage. The fire button is integrated with an LED light to display battery life. It also flashes when you switch to a different mode, that is white light for Variable Wattage mode and orange light for BYPASS mode. In the kit, it also includes the new CUBIS Pro atomizer. 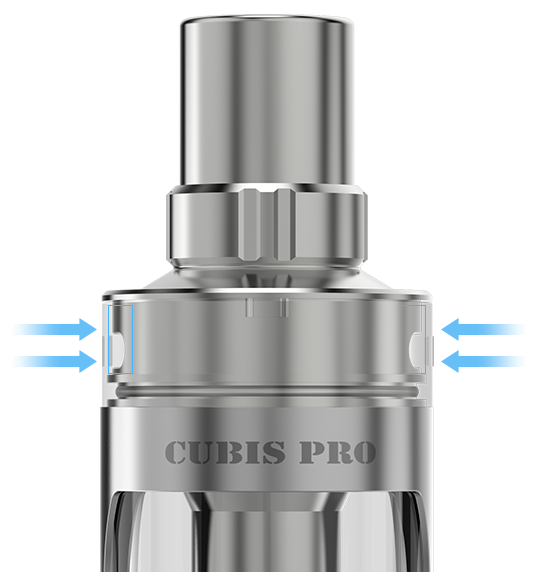 As the second generation, the CUBIS Pro has almost all the CUBIS’s features but also with its own characteristics. It adopts the innovative leak resistance cup design to avoid leakage at source. 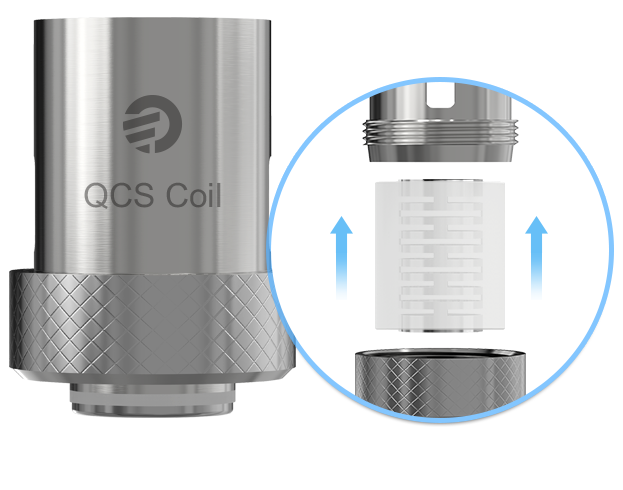 Unlike the CUBIS, e-juice refilling can be achieved simply by removing the top cap and injecting through the side holes directly in CUBIS Pro. Thus, you don’t have to take the whole upper part off to refill. That’s quite easy and convenient. We refined the airflow control structure which allows larger airflow inlet directly from both sides. Simply rotate the airflow ring clockwise or counter-clockwise to adjust the airflow inlet. The airflow is hidden, seemingly invisible, at the top of the unit which makes airflow control more efficient and also provides an elegant and clean aesthetic. There’s a large collection of atomizer heads to use in the CUBIS Pro. Among which, the new QCS and LVC coil worth to be talked about. QCS literally means quick-to-change, which enables to change the cotton quickly with ease. Since we released the NotchCoil, it is extremely welcomed by our fans for its super clean flavor and large clouds. Actually, the NotchCoil comes from a simple and obvious idea — combine the surface area of a Clapton coil with the fast ramp-up time of a traditional coil. It works really nice both on temperature control mode and power mode. And this, we apply the NotchCoil in the QCS head to a higher level. 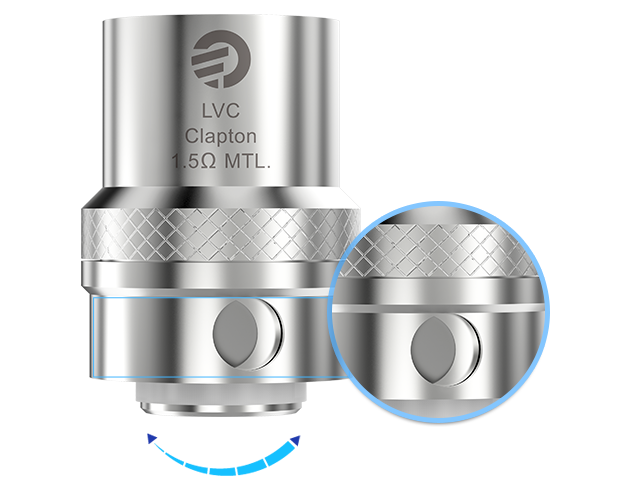 Bringing back the LVC coils (Liquid Valve Control), it offers the ability to control how much liquid is feeding into the 1.5ohm LVC Clapton coils for even more precision and control. Overall, the eGo Mega Twist+ with CUBIS Pro is mostly a tiny but powerful kit for starters. It has variable wattage mode and BYPASS mode for option, along with multiple choices of so many BF series heads, providing more than you can expect. The great performance and easy operation make the eGo Mega Twist+ outstanding and unique. 3d vision and amd3d/tridef need to be added. May as well throw game works in there somewhere too.